Boxing's heavyweight division can go years without offering a truly compelling fighter. Other weight classes suffer for their talent discrepancy or an overall lack of media attention. But if the sport has one consistently appealing arena, it's the welterweight class, because there's always talent and drama at 147. "In the welterweight division today," explained Showtime analyst Steve Farhood, "there's just not a bad matchup you can make. Big fights make more big fights." Admittedly, the highly-anticipated 2015 superbout between welterweight legends Manny Pacquiao and Floyd Mayweather Jr. was putrid. Instead of sparking a memorable rivalry, the fight was compromised by Pacquiao's injured shoulder, and fans haven't demanded a second chance to fork over $59.95. 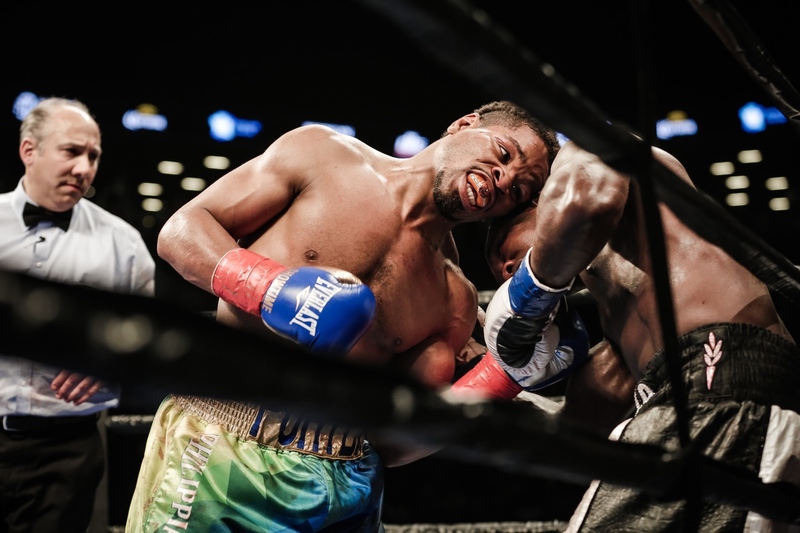 A sequel to Keith Thurman's riveting 2016 WBA welterweight title defense over Shawn Porter is a different story; so it's good that Porter (27-2-1, 17 KOs) earned a ninth-round stoppage over veteran Andre Berto (31-5, 24 KOs) in Saturday's WBC world title eliminator at Brooklyn's Barclays Center. "Shawn Porter is one of the best welterweights we have in the world today," Thurman (28-0, 22 KOs) said after watching Porter score a pair of knockdowns in a ferocious performance on Saturday. "I'm truly one of the top welterweights in the world today. It was a great fight last year, and if it happens this year, it will be another great fight." Scheduling might take some time. After adding the WBC crown with a split-decision win over Danny Garcia last month, Thurman said he doesn't expect to return to the ring until "much later this year." Regardless, Porter will almost certainly get his rematch against Thurman. And with former American Olympian Errol Spence Jr.'s upcoming fight with IBF belt holder Kell Brook in Sheffield, England on May 26, the welterweight division is inching towards unification for the first time since Zab Judah held all three major titles in 2005. "The goal is to be the undisputed welterweight champion of the world—to be No. 1," said Spence, who sat alongside Thurman at Barclays Center on Saturday night. "Right now, this is the only division I want to be in. This is the deepest weight class. I feel like the best talent is at 147. Floyd retired, so there's no No. 1 right now. I feel like I can fill that spot." Spence (21-0, 18 KOs) is just 27 and has only a few quality wins to his name (namely stoppages against Chris Algieri and Chris van Heerden). 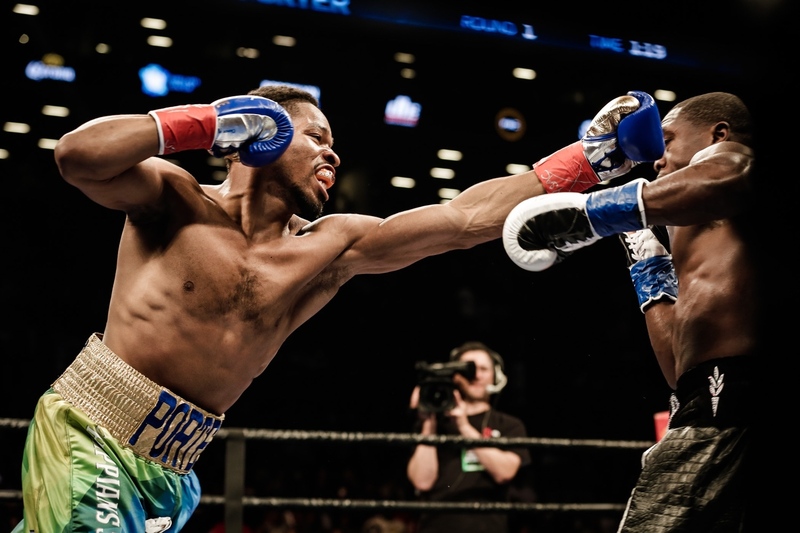 But outside of his narrow majority-decision victory over Porter in 2014, Brook (36-1, 25 KOs) is in a similar boat. The Sheffield native was brave enough to move up two weight classes to face unified middleweight champion Gennady Golovkin last September, but despite that loss, Brook's record remains spotless at 147. "Kell Brook is technically an undefeated welterweight, and that's what makes him tricky," Thurman said. "He hasn't fought enough competition in America to judge him. 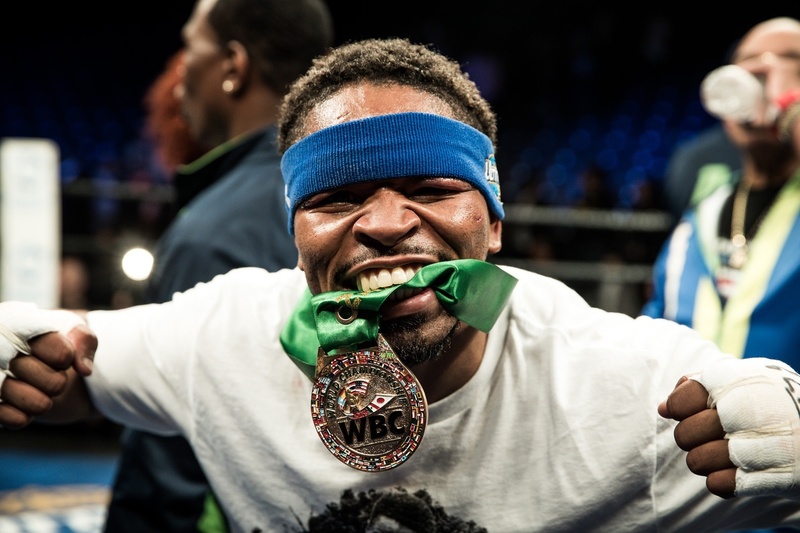 The best fighter he fought that we have is Shawn Porter. Now he's fighting Errol Spence... It's probably the toughest competition that either fighter has faced in the welterweight division." And they're both just scratching the surface. Not only could an undefeated Thurman eventually fight the winner of Brook-Spence, but 38-year-old Pacquiao (59-6-2, 38 KOs) will defend his WBO crown in July against Jeff Horn (16-0-1, 11 KOs), Garcia (33-1, 19 KOs) is still lurking, Amir Khan (31-3, 19 KOs) is only 30, and 36-year-old Luis Collazo (37-7, 20 KOs) reignited his career by knocking out Sammy Vasquez in February. Even embattled former four-weight division world champion Adrien "The Problem" Broner (33-2, 24 KOs) could get a welterweight title shot if he can avoid the ever-present threat of incarceration. Then there's the collective experience being gained atop the welterweight division. Just a year ago, fans could justifiably complain that Thurman and Spence were untested. By next year, the two could be fighting for complete control of boxing's most competitive division. And don't overlook Porter simply because he lost decisions to Thurman and Brook. The Englishman stymied Porter's frenetic energy back in 2014 with intermittent clinches and holds. For that matter, the relentlessly aggressive Porter faced a similar strategy in 2015 against Broner, who was penalized and lost a clear unanimous decision. But as Berto learned on Saturday, when both fighters were left bleeding after repeated head butts, Porter refuses to be wrapped up now. And if he needs to use his head or forearm to create some space, he'll do as much as the referee allows. "I got to clean up those head butts," Porter said afterwards, adding, "My intention is never to use my head as a weapon." And when head butts didn't work, Porter went hard at Berto's midsection, which is why the native Ohioan finished with a 138-60 edge on power punches. "Shawn Porter did what he's known for doing," Thurman said. "Just being tough, rugged, smothering, never stops punching once he gots you on the inside, constantly pivoting, shifting angles, leaning on you, throwing more punches, digging to the body. He landed some good punches to the head. Had a few knockdowns tonight. He looked strong, but when does Shawn ever look weak?" 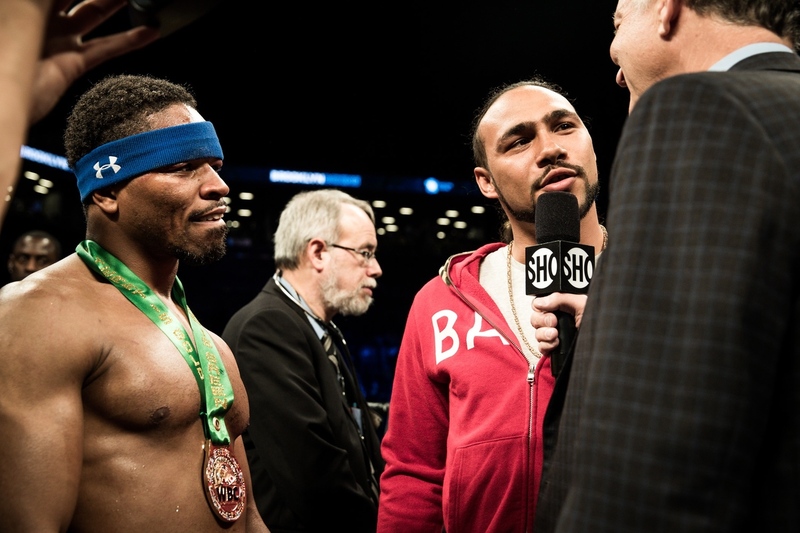 Expectations for Thurman-Porter II are already high after the original installment generated a 1.8 rating for CBS, averaging 2.12 million viewers. Thurman's win over Garcia did even better for the network, bringing in a 2.2 rating, but it failed to match the intensity of Thurman-Porter. The difference, of course, is Porter, who ceaselessly advances on opponents, regardless of the situation. And even though Thurman has already seen it all before, it's hard to imagine Porter fighting any other way. "I expect another great fight—another competitive fight," Farhood said. "I think Thurman-Garcia was a little disappointing as far as fan satisfaction, but the Porter fight was one of the best fights of the year . I think they respect each other and understand that they have to throw a lot of punches to beat the other guy. Neither fighter was really hurt the first time... Porter knows that to beat Thurman, he's probably not going to outbox him—He's probably gonna be really aggressive, whereas Danny Garcia laid back."